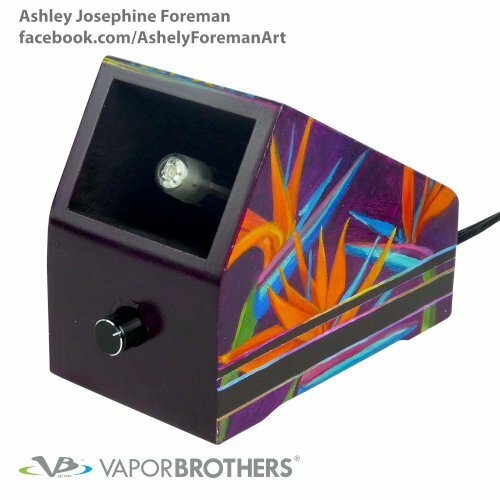 Desktop Vaporizers have unlimited power and the right geometry to vaporize herbs and oils with ease. 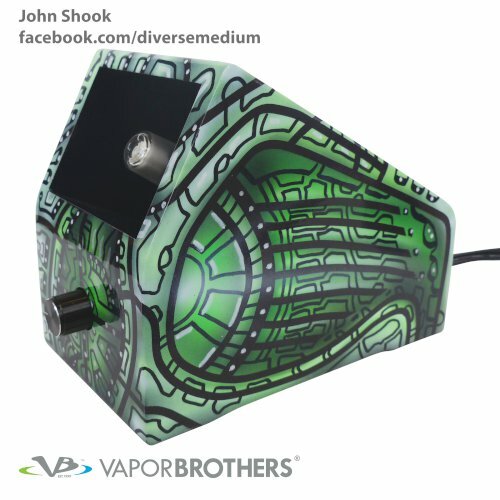 Customers report that they get better tasting and stronger vapor than what's possible with portable models. 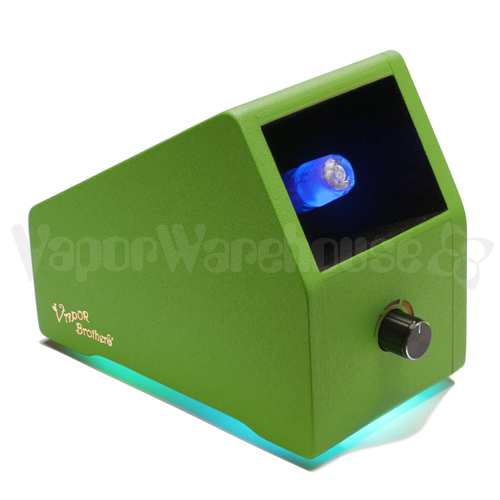 Our VB1 models vaporize bulk herbs (aka "flower") using convection heating. 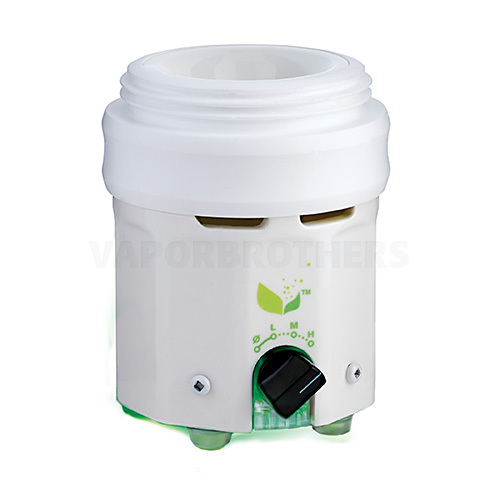 VB1's ceramic and glass heater ensure that the herbs do not pick up any metallic or other unwelcome tastes. VB2 vaporizes oils and solids through direct contact with a heated ceramic plate, although when the temperature is set just right, the oils boil in the air just above the plate, providing a quick hit and imparting no burned taste. 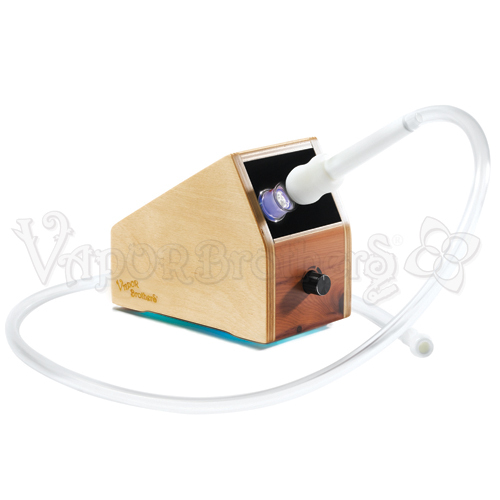 Our VB1 vapor box (Whip style vaporizer) and wax converter (VB2) are both the perfect solution for the connoisseur looking for a completely satisfying experience. After taking your first inhale from either of these, you'll see why we exist in the first place. 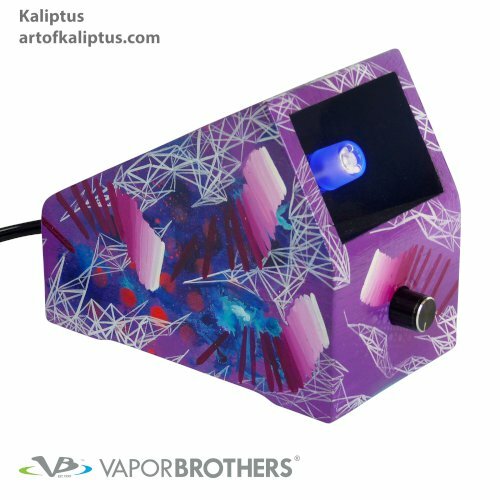 Since our founding in 1999, many vaporizers have sprung up to copy our design yet none give the taste or efficiency of Vaporbrothers. See for yourself how good it is to buy from the originator! 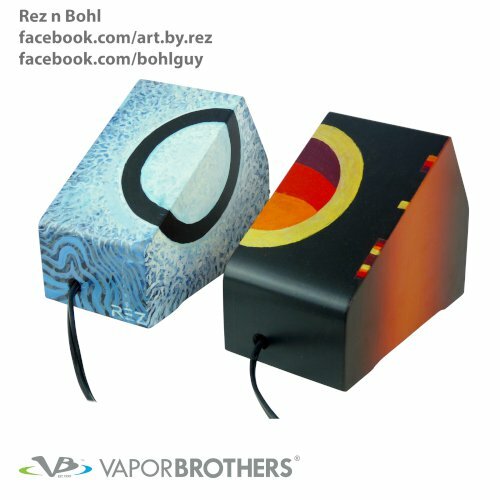 In general, Desktop Vaporizers are designed for home use although our VB1 and VB2 models are not difficult to take along with you. 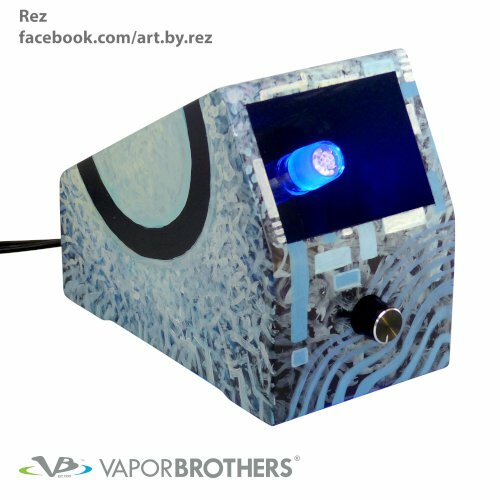 We provide both 120 volt and 220 volt models of the VB1 vapor box, depending on if you reside in the Americas or in Europe. If you need a voltage converter, we have those too. Our Desktop Vaporizers come in three different styles: standard whip, hands-free, both for herbs, or our newest invention, the wax converter, compatible with waxes, oils, and solids. 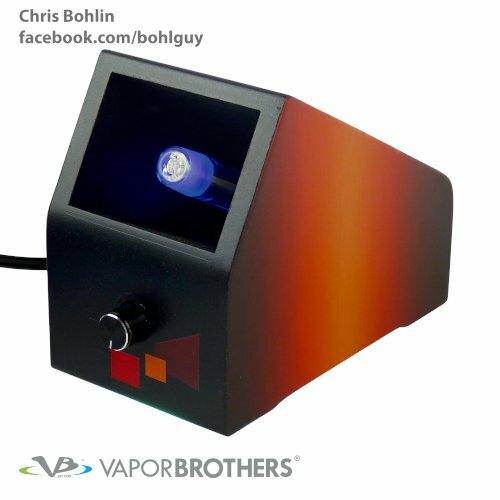 Our VB1 desktop vaporizer allows the vaporist to inhale vapor as the air is being drawn from the natural mineral heating element. With the "standard" whip, the whip is held in place by the user while inhaling. 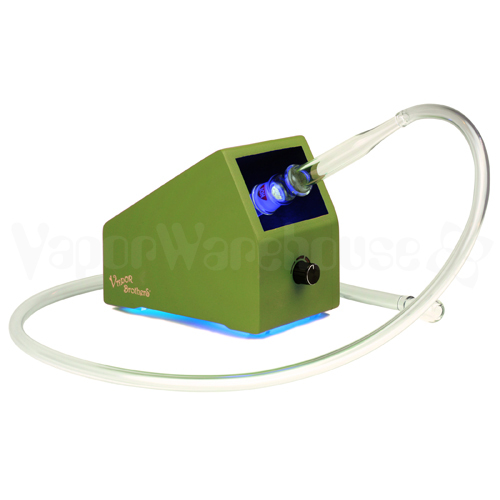 However, with a Hands-Free Whip model, the vaporist simply connects the whip to the vaporizer and draws the vapor without holding the whip in place. 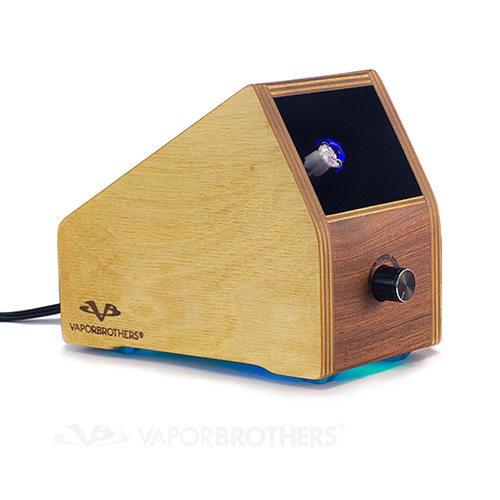 All Vaporbrothers desktop vaporizers are considered by us to be Glass on Glass delivery systems, although the term glass on glass often refers to the precision ground joint used in the Hands-Free method. 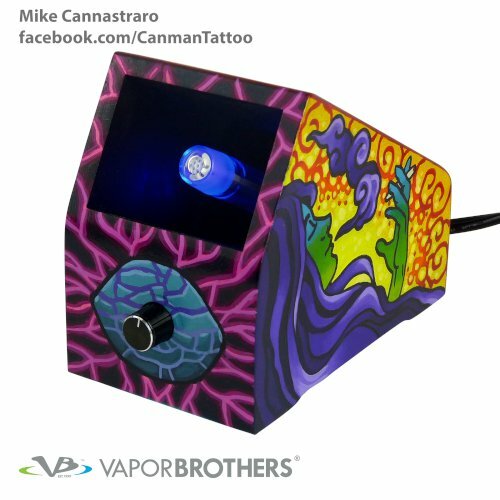 All our models are backed by outstanding warranties plus a wide selection of attachments and assorted vaporizer parts. 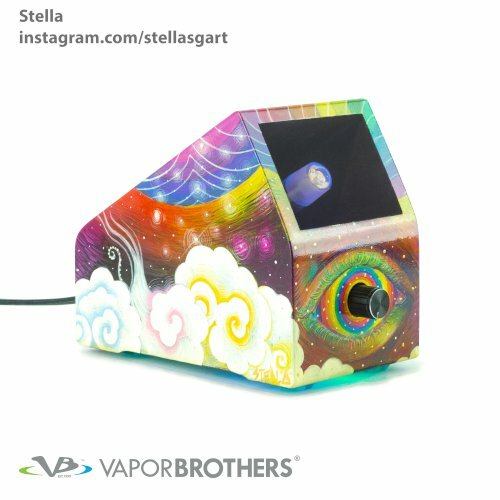 Another thing to note about our desktop vaporizers is that they are extremely efficient in that they produce the most vapor for the amount of material inserted. 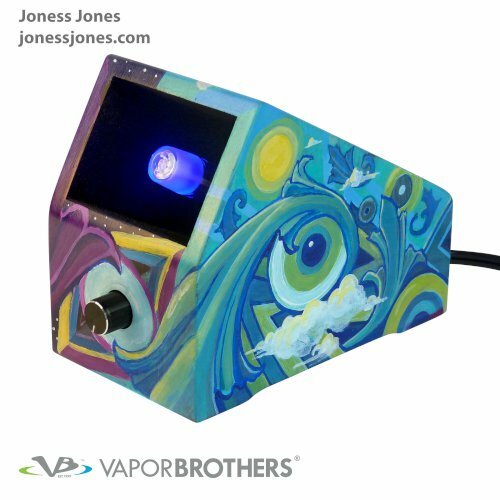 When compared to other desktop vaporizers on the market our vaporizers seem stronger yet more cost effective. 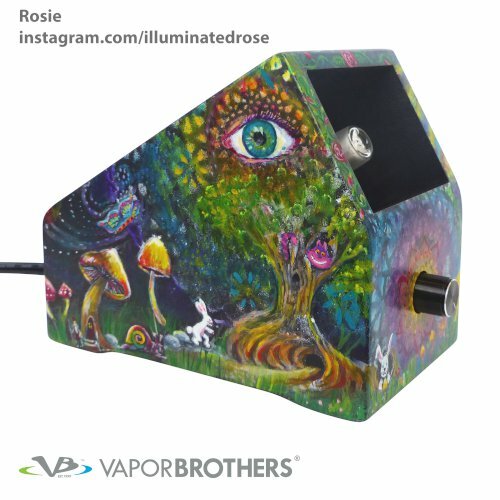 Vaporizer orders fulfilled by Vaporwarehouse.